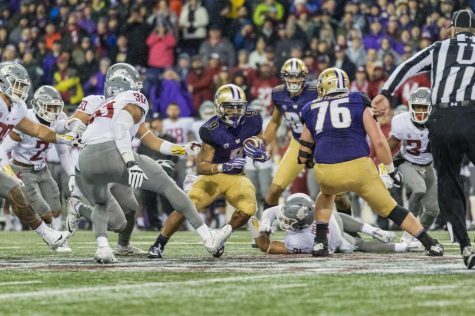 Heading into this year’s Apple Cup the Huskies have a long history of beating the Cougars. 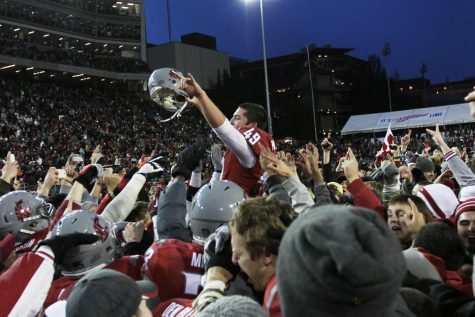 However, this time around WSU has the right players to beat UW. 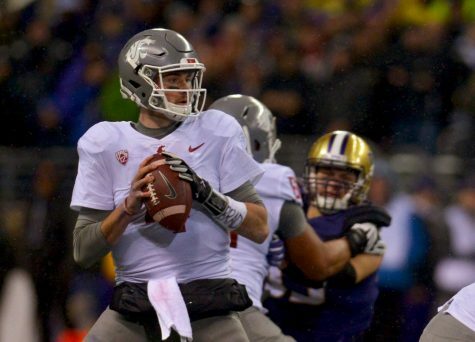 Here are a few key players that will determine whether the Cougs win the Apple Cup this year. One of the key players on the defensive side is sixth-year linebacker Peyton Pelluer. 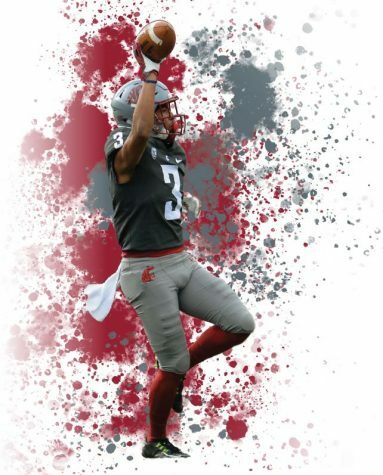 Crimson and gray runs through his blood as he is a fourth generation Cougar football player and he will finish his career playing more games for the Cougars than anyone in history. In his career at WSU, Pelluer has made 185 solo tackles and assisted with an additional 140 while also adding five sacks. So far Pelluer is making the most of his final year as he already has 44 solo tackles, 27 assisted tackles and three and a half sacks through 10 games. 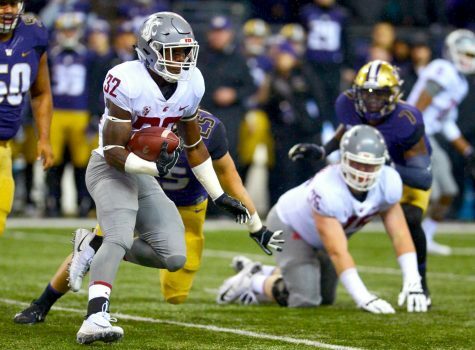 The running game in the 2018 season has been one of the key elements to the Cougars’ success this year. 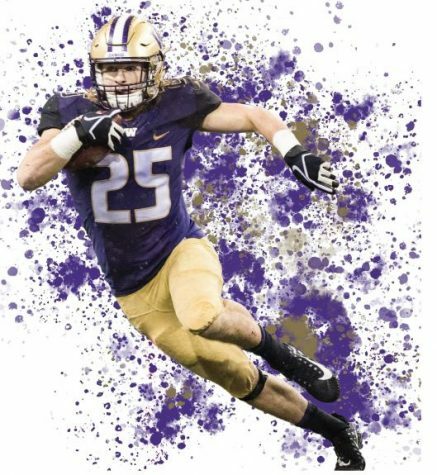 Freshman running back Max Borghi has made a name for himself in his first year here at WSU. Borghi has helped the team pick up yards both on the ground and in the air while receiving a somewhat limited amount of snaps. Borghi has already tallied six touchdowns on the ground and four receiving through 10 games. Alongside Borghi is redshirt junior running back James Williams who has made key plays in crucial games, including a touchdown run against then-No. 12 University of Oregon where he broke eight tackles to score. 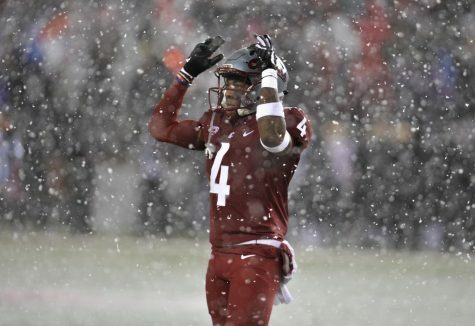 Throughout his career at WSU, Williams has rushed for a total of 1,416 yards, racked up 1,330 receiving yards and found the end zone 23 times. 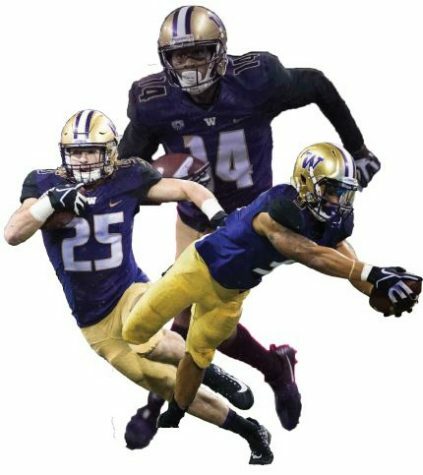 This season, Williams has rushed for 437 yards and nine touchdowns and caught three touchdowns for 506 yards through 10 games. Finally, the leader of the Air Raid offense team is quarterback Gardner Minshew II. Although he will only be here one season, Minshew has already left his mark on WSU and will go down in history not only for his ability on the field but also for his signature Mississippi mustache. Minshew currently leads the nation with 3,852 total passing yards through 10 games, completing 364 out of 523 attempts for a 69.6 passing percentage. Minshew has passed for 29 touchdowns and rushed for three other scores through the first 10 games. 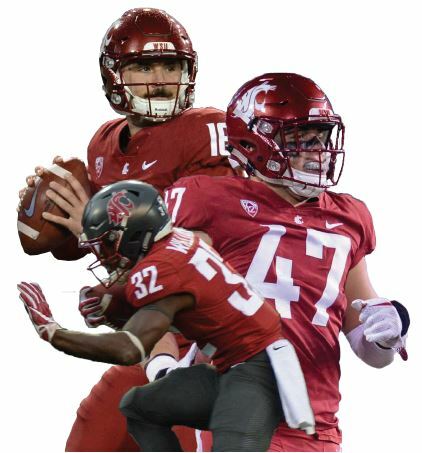 With a quarterback like that leading the Cougars along with the other key players, the Huskies will face a real challenge trying to pick up the Apple Cup victory this year.